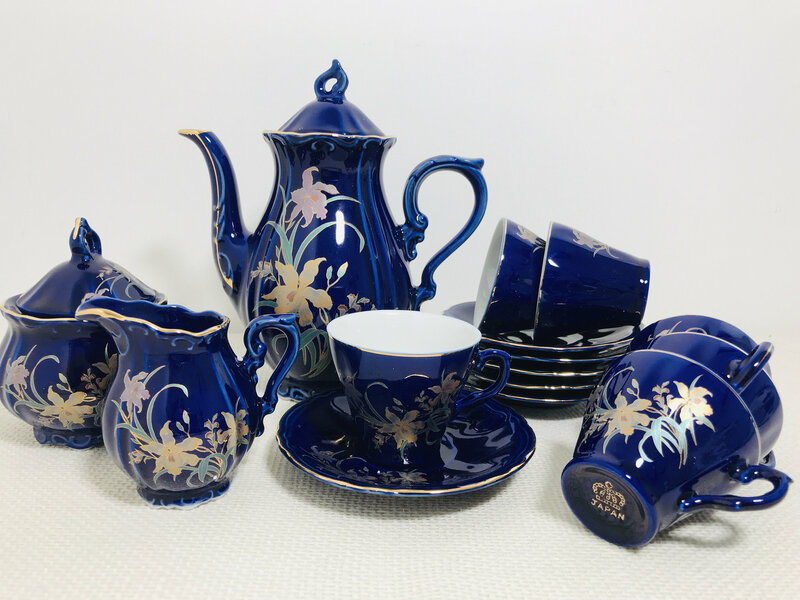 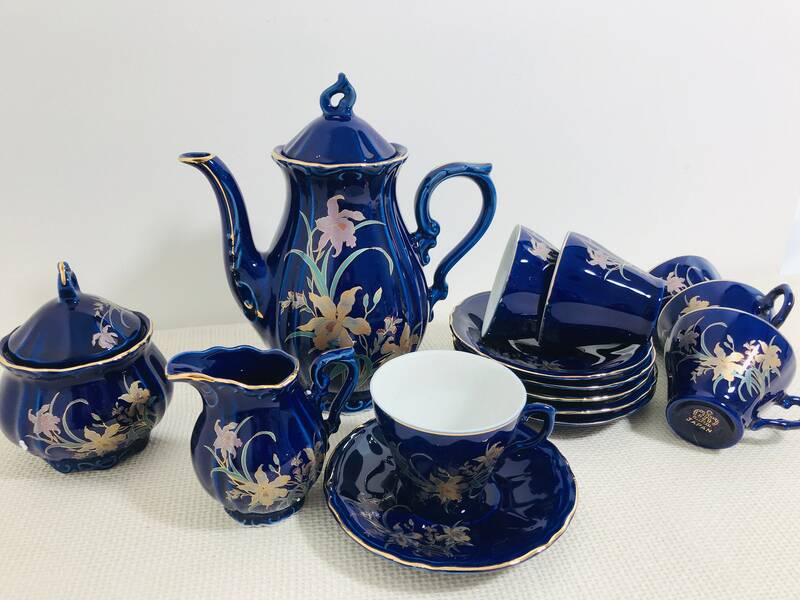 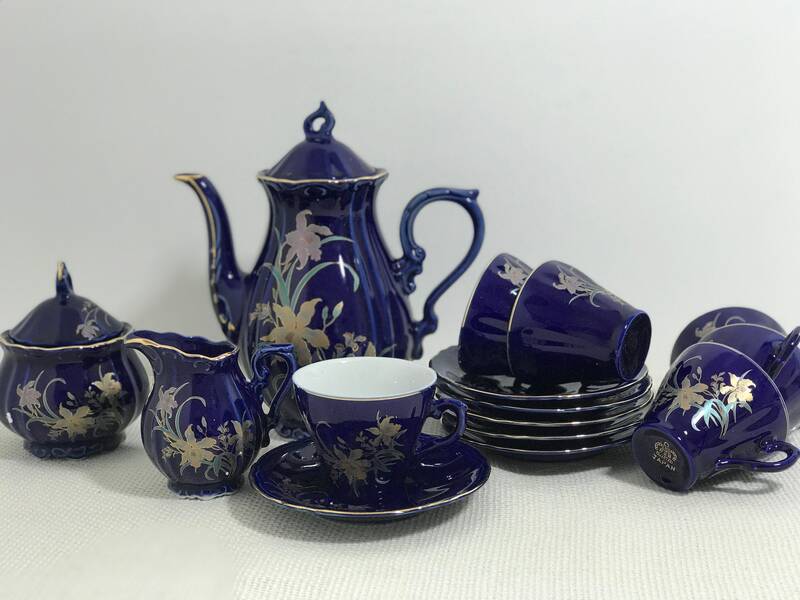 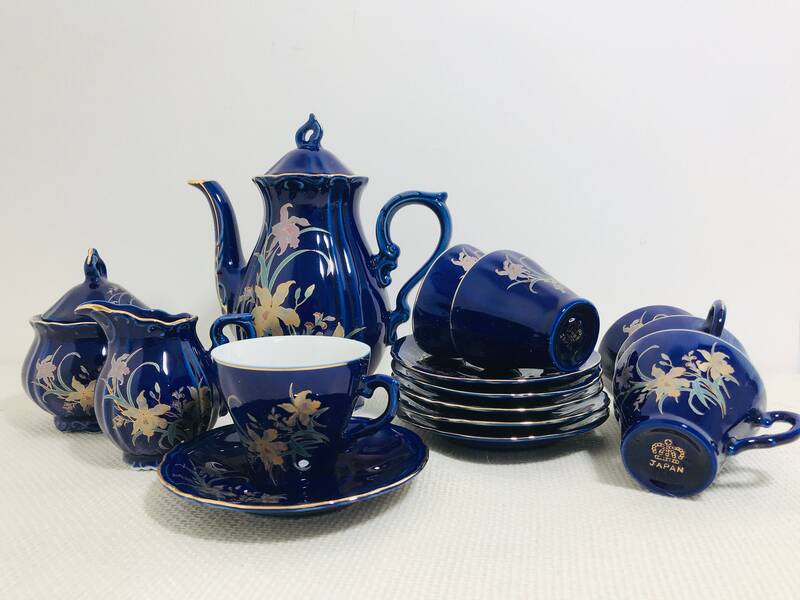 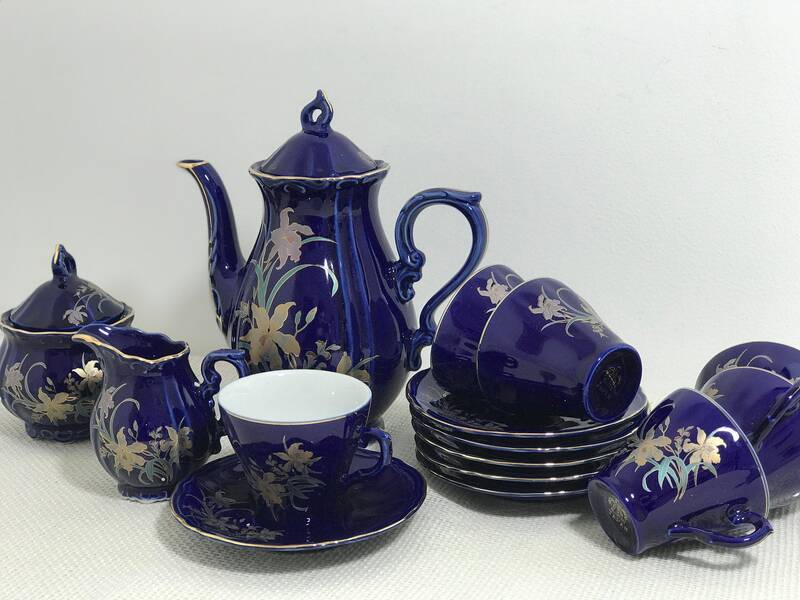 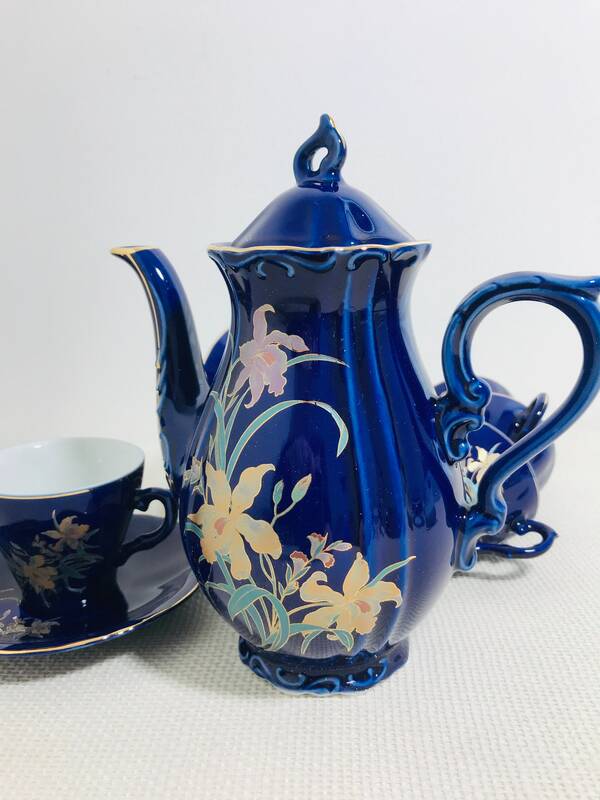 A pretty decorative Coffee set in Cobalt blue with scroll handles, floral and gold gilt detailing. 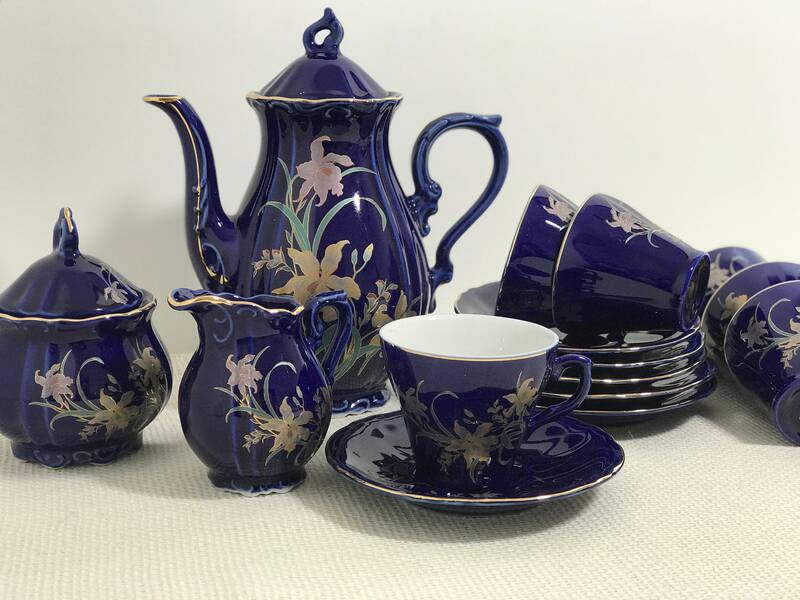 Perfect for that cup of morning expresso! 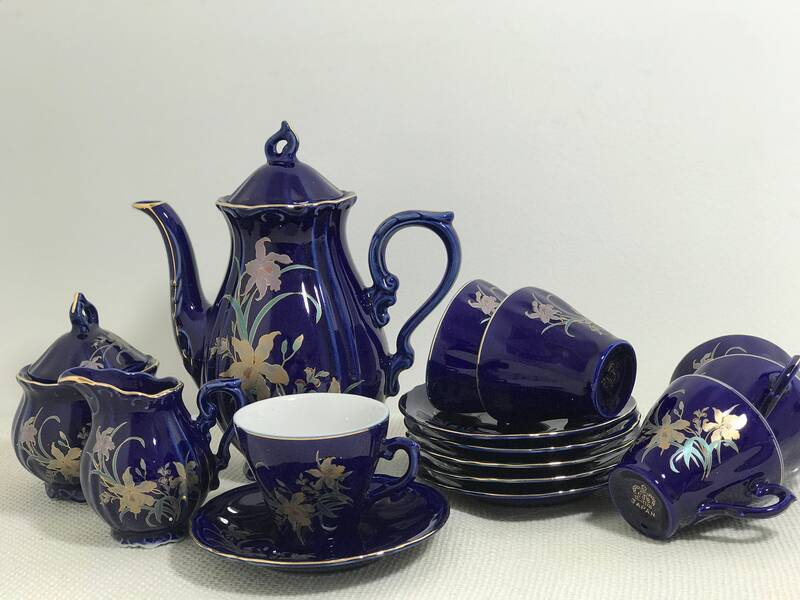 This item is still boxed and has probably never been used. 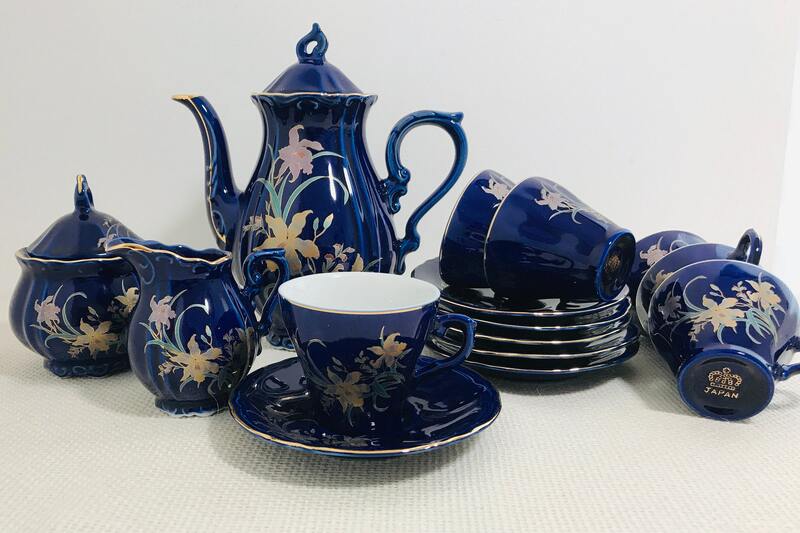 Would make a lovely housewarming, moving or birthday gift.